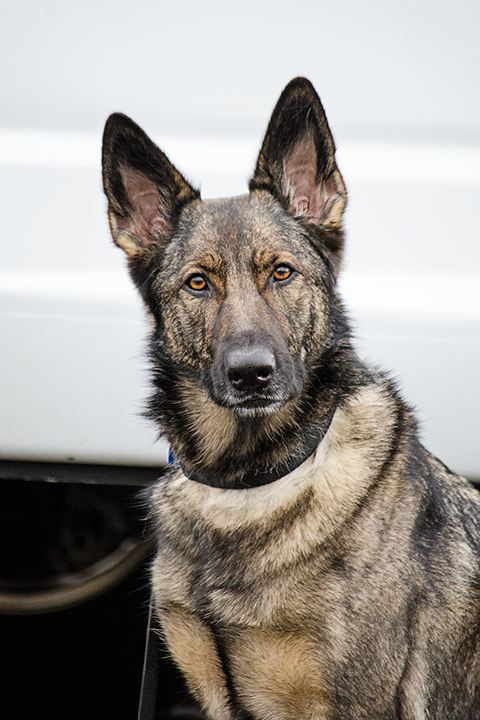 Notes: Jade is the product of a breeding between Border Czech and German Shepherd working lines from Colonial K9 in Stafford, VA. She possesses equally high prey and food drive, which has proven valuable during her training in human remains detection. 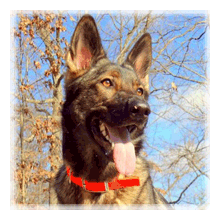 In 2010 she obtained her Canine Good Citizen Certification at the age of six months. Originally trained in live find application, she was switched to human remains detection in 2011 due to her affinity and aptitude for the work. In 2012 she attended the Western Carolina University Cadaver Dog Workshop where she obtained training and exposure to human remains in water, buildings, vehicles and whole body sources at WCU through their Forensic Anthropology Department. In November of 2012 she obtained her ARDA Human Remains Detection Certification. As part of her continued development in the human remains detection field she will be working towards her ARDA Water Search Certification.